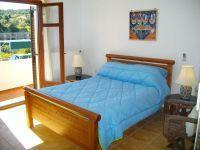 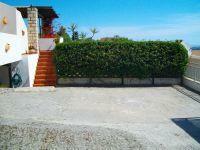 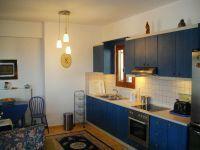 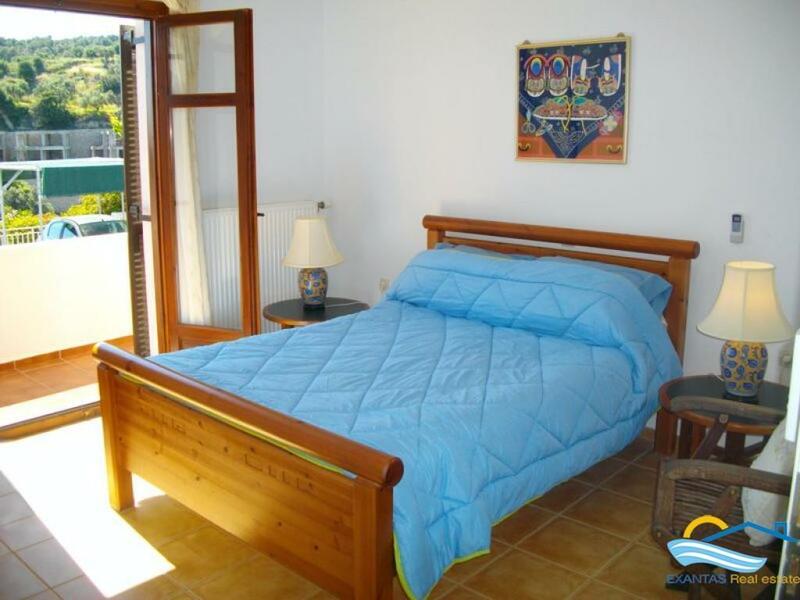 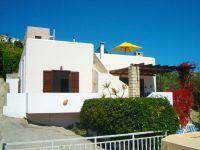 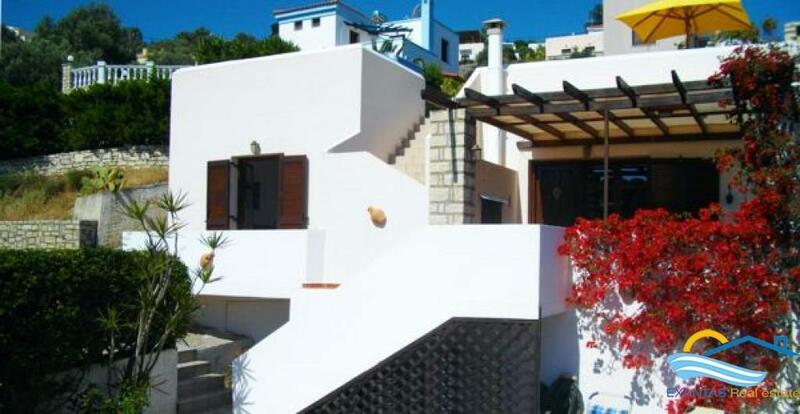 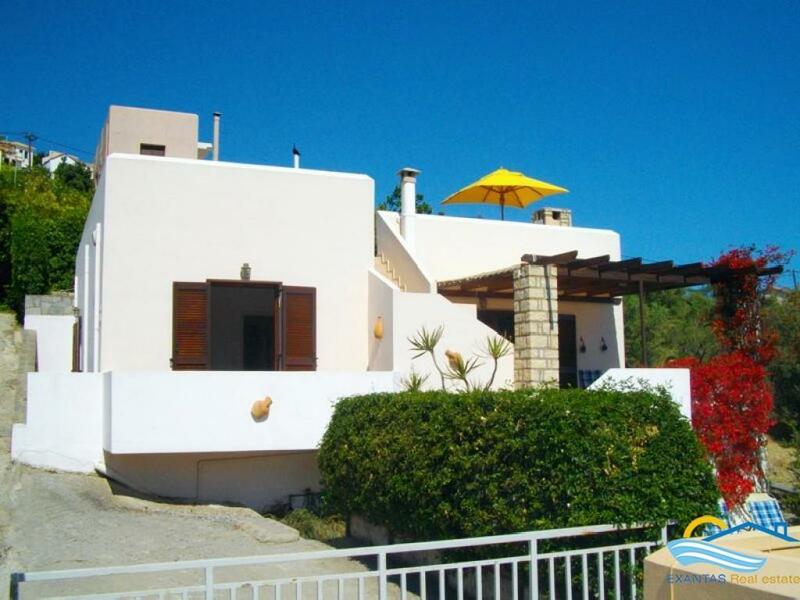 A very nice house in Crete, either for permanent or for holiday use. It is located in a quiet rural area in the village of Agia Triada, not far from Rethymno, with great views of the nature and the sea. 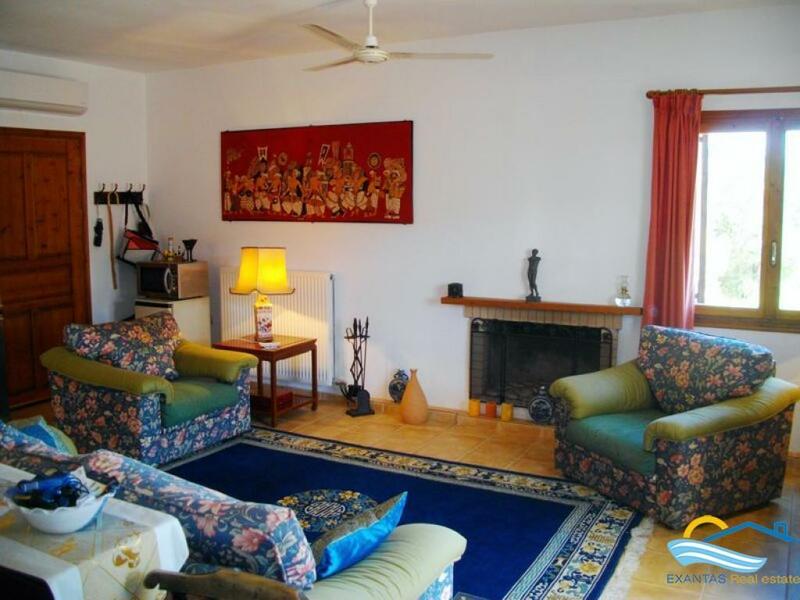 As you enter the house there is a large open plan area with the kitchen, dining and living room with a fire place. 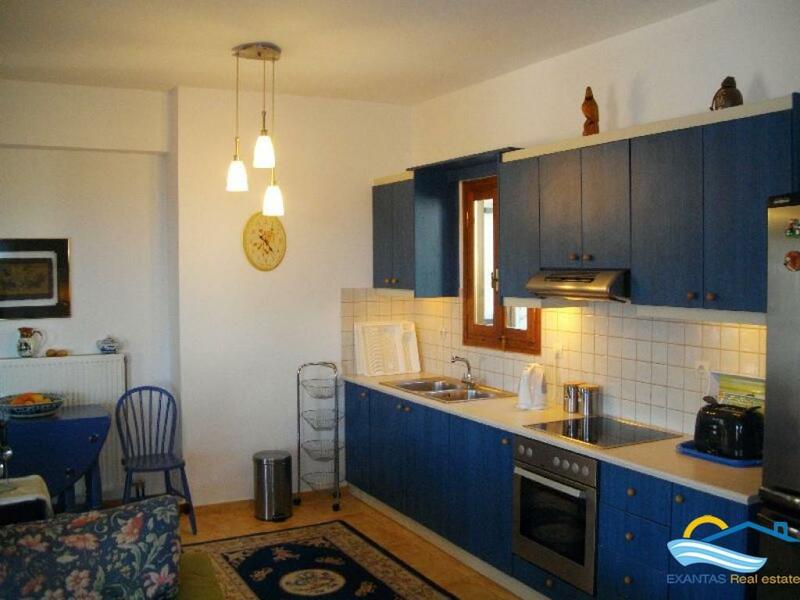 At the same level there are also 2 bedrooms and a bathroom. The house is very spacious with comfortable areas. 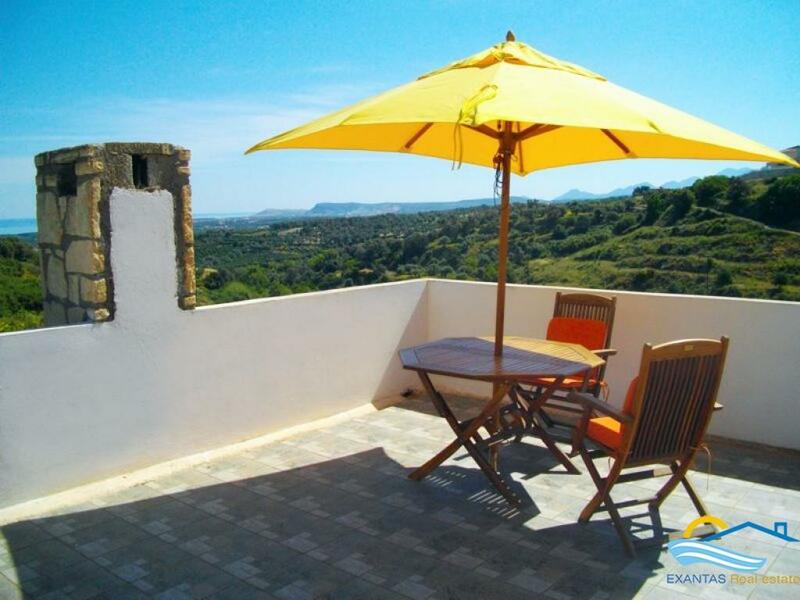 Outside there is a large terrace with a pergola, while steps leads you to the roof terrace of the house with outstanding views. 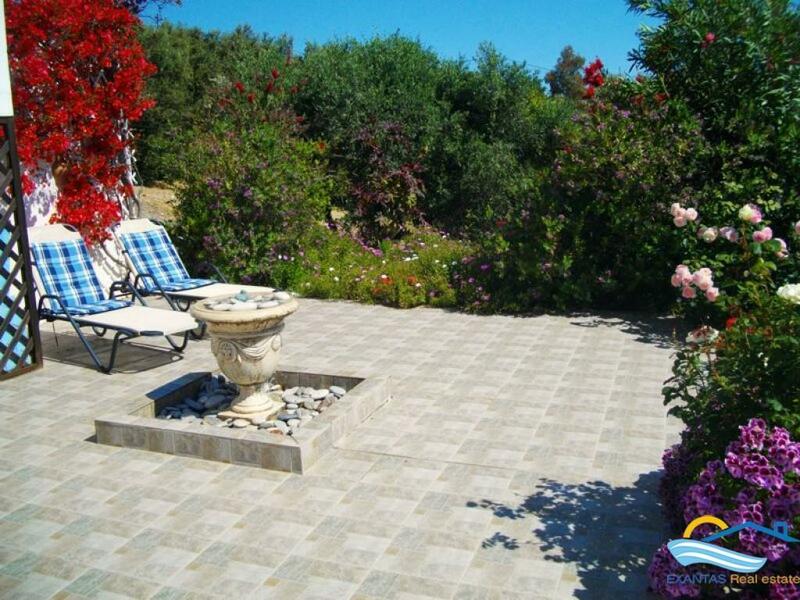 The garden is full of flowers and trees and there is also a nicely paved courtyard with a fountain. 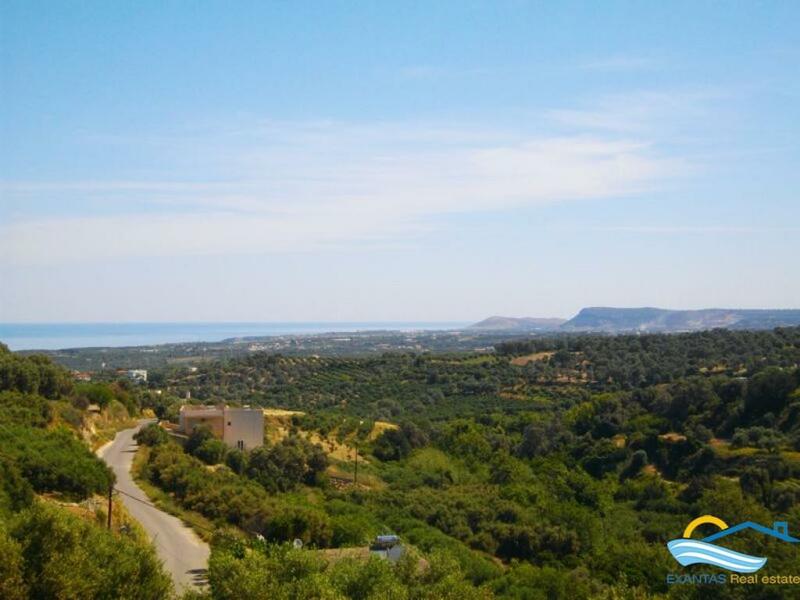 The village of Agia Triada is located 10 km east of Rethymno, it is an inland village with few permanent residents, just 7km from the beach of the tourist resort of Platanes. 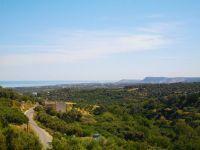 The area around the village is full of olive trees, vineyards and orchards. 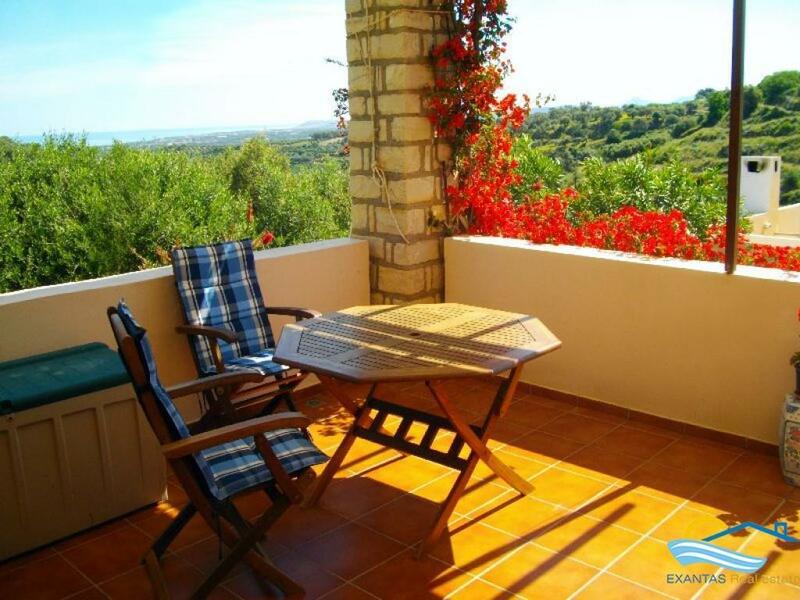 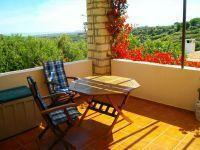 It combines amazing panoramic views together with quiet and natural life.